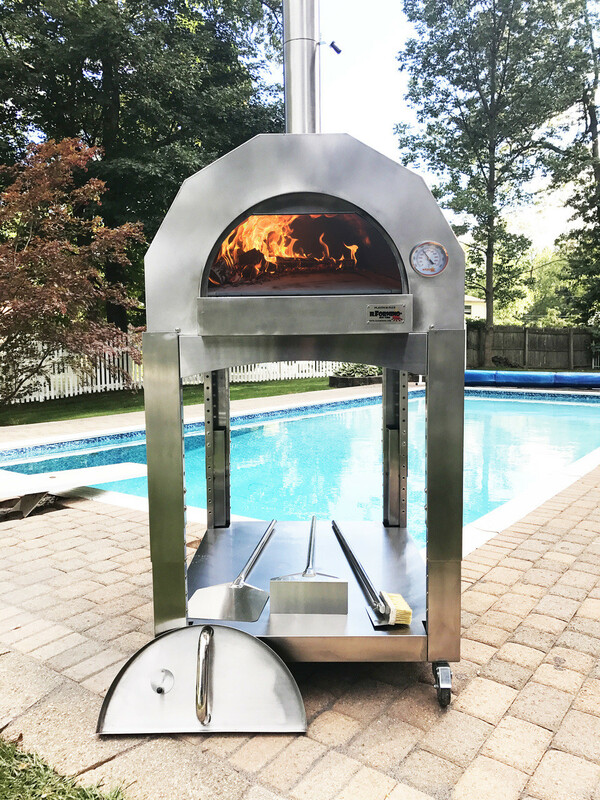 Stainless steel wood fired pizza ovens are portable, meaning they can be moved easily from one place to another. That’s especially convenient when you relocate; your oven can go with you to your new home. That’s not what happens with a refractory oven that costs thousands of dollars! It gets left behind. Since a buyer might not want one on the property, you’d bear the burden of knocking it down to suit their taste. With a portable oven, you can even move it around on your property from sunny spots to shady ones for cooking comfort. Did you know that, on average, the traditional refractory oven takes two to three hours to heat up? If you are planning to make some wood fired pizza pies, are you willing to wait a few hours to start cooking? With the stainless steel wood fired portable ovens, you can be ready to cook the pies in 25 to 30 minutes! And it only takes about 90 seconds to cook them once the oven is heated up. Most refractory wood fired pizza ovens start to deteriorate after a while. This deterioration is first seen in the dome as it flakes. And guess where all the flakes are going to fall? You got it! Right onto your food. Yuck. Dome cracking can create quite an ordeal and an embarrassment when serving your pizza pies to your guests. Dome shavings, anyone? In today’s fast-paced society, stainless steel wood fired ovens are the way to go. With their convenience and modern touch, you’re still able to preserve some traditions from the past. What could be better than that?